As Jeep works on introducing the Jeep Wrangler JL in India, spy photos have started making rounds on the web. 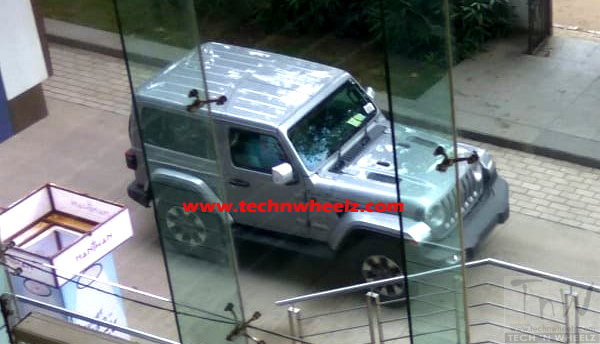 Tech N Wheels has posted a spy shot of the new generation Jeep Wrangler’s 2-door version. The Jeep Wrangler JL could arrive in India in Q4 2018. There’s no camouflage or disguise on the 2-door Jeep Wrangler JL test mule seen in the spy shot. This suggests that Jeep is evaluating the underlying mechanicals for our market, not the 2-door version itself. Earlier this month, another spy shot had shown an “on test by ARAI” sticker on a 2-door Jeep Wrangler JL’s back glass. Jeep is probably interested in the 4-door Unlimited version for our market. The Jeep Wrangler JL features an evolutionary design with subtle enhancements to its signature design elements. Key revisions include gently swept back keystone-shaped seven-slot grille with both outer grille slats intersecting with the headlights, new distinctive hood latches, more rakish windshield, fixed A-pillars, turn signals positioned on the wheel flares and lowered belt line with bigger windows. Dozens of different door, top and windshield combinations are available internationally. Inside too, the Jeep Wrangler has retained its no-frills design with a very basic and traditional layout in its fourth generation. The interior is more sophisticated, though, with a more appealing styling and a host of new amenities. Passive keyless entry, push-button starter with a weather-proof surround, 7-inch LED driver information display and 8.4-inch Connect touchscreen infotainment system with Apple CarPlay and Android Auto are some of the main interior features of the all-new Jeep Wrangler. 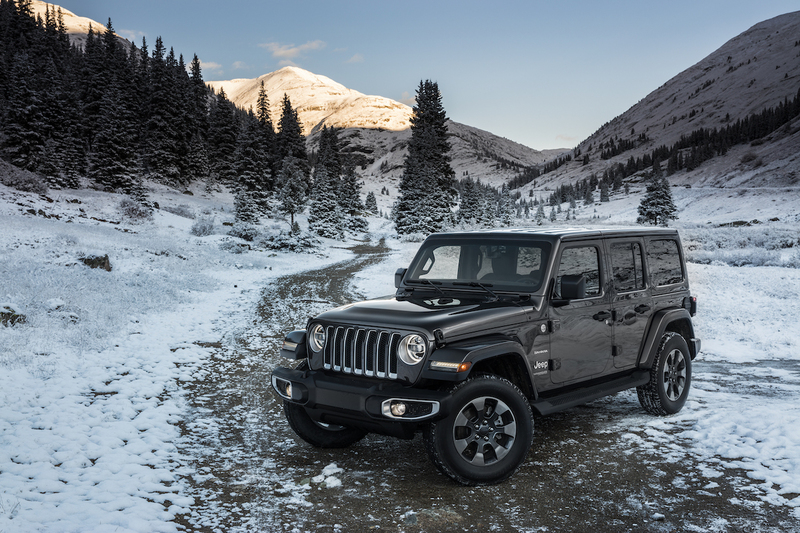 Jeep has introduced the Wrangler JL with three engine options: 3.6-litre naturally aspirated petrol (284 PS/347 Nm), 2.0-litre turbocharged petrol (272 PS/400 Nm) and 2.2-litre turbocharged diesel (200 PS/450 Nm). Fuel-sipping stop-start technology is standard in all engines. Both the turbocharged engines are coupled to an 8-speed automatic transmission, while the naturally aspirated engine is paired with either a 6-speed manual transmission or an 8-speed automatic transmission. The off-road-oriented specifications, including the 4x4 system, varies as per the grade selected: Sport/Sport S, Sahara and Rubicon. Jeep could locally assemble the Wrangler JL for an aggressive pricing. The all-new Jeep Wrangler JL could reach India in Q4 2018 (October-December 2018). The Jeep Wrangler JK is a CBU import, but the Jeep Wrangler JL could get locally assembled for a more realistic price.